Marita`s kort : Bursdagskort/Birthday card! Her er et enkelt pyntet kort til en barnebursdag:). Motivene er fra Sassy Cheryl`s stamps og jeg har fargelagt med Copic. i have coloured with my Copic. So fab scene, love this card ! Your colouring is wonderful ! This is just adorable, you have created a gorgeous little scene. Lovely inside and out. What a wonderful card and fabulous scene which you have coloured so beautifully! 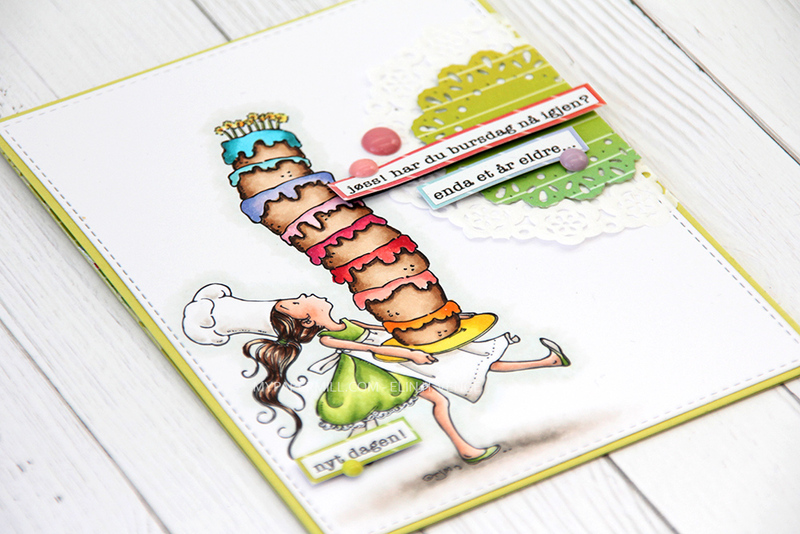 This is such a fun, bright & fresh card Marita! Love how you've made the scene and your fab colouring! Thank you so much for stopping by today and for your lovely comment.